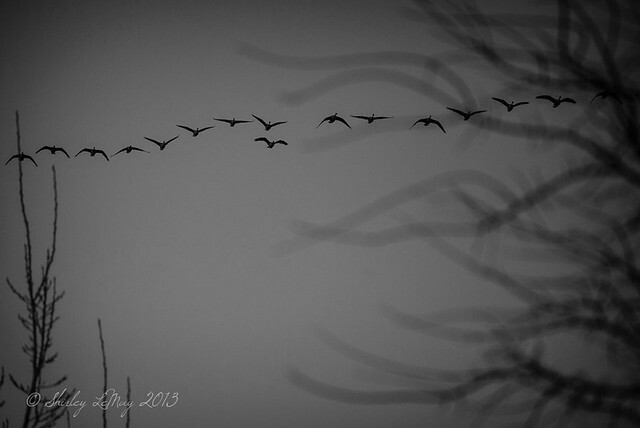 shirley - behind the lens: Where are You Going? We get a lot of that sort of question this time of year. Reflect upon the past year. Set goals for the coming year. As if we can't set goals any other time. OK, that was kind of harsh ... so maybe you have picked up that I am not a big fan of the end of December / beginning of January resolutions / fresh year, fresh start thing. For me, each day is a fresh start. Don't wait until January 1 to make whatever change or resolution you think you should make. Do it today. Leaving you with a video of one of my favorite songs this time of year. December, performed live by Sara Bareilles. The sound quality is a little rough at times, but I still love it. Go, change today. I'll even go and change my blog's header! I agree that there is no time like the present to make a change... but I also appreciate intentional long-term planning for the coming year. 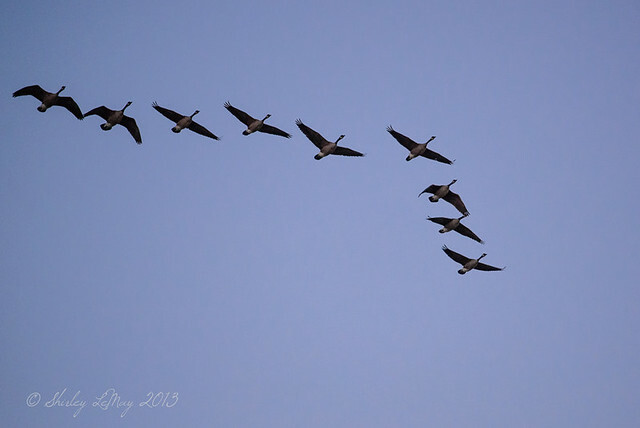 Oh I love to see geese in their V formation, always makes me smile... I agree with you on making every day (or moment) an opportunity for change :) Have a wonderful 2014!